Hello beautiful souls. How are we today? I am smiling with love, feeling grateful for another day of life. After a jog this morning in the countryside, a refreshing glass of orange juice and coffee, we’ ve set out to own this day and have fun doing what we love. OK! So last week I walked out of the house with this cute colourful outfit to snap some photos for the blog and I had not planned a venue. We left it to chance. And as we were driving through a side street in Madliena, behold on the way, we came across this pretty house with gorgeous bouganvillae hanging from its fascade. I had to stop here to snap some pictures! 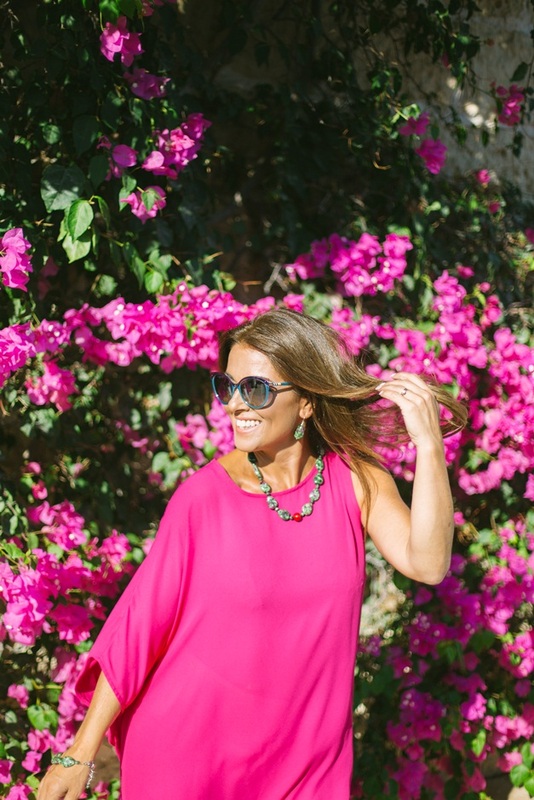 My top had the exact pantone colour as the bougainvillea trees – and how pretty did these photos turn up! This outfit was a last minute mix and match to be quite honest. The asymmettric top was one I got in the Sales from Cortefiel in Malta while the white trousers were part of a white suit I had in the closet. Suit basics in white or black always come in handy when we have these last minute panic attacks and we have to just get out that door! These classic style sunnieswith a polychrome two tone shine are Burberrys from the latest collection at Vision Opticians while the jewellery is from my collection at Gemstones & Jewellery by GC. 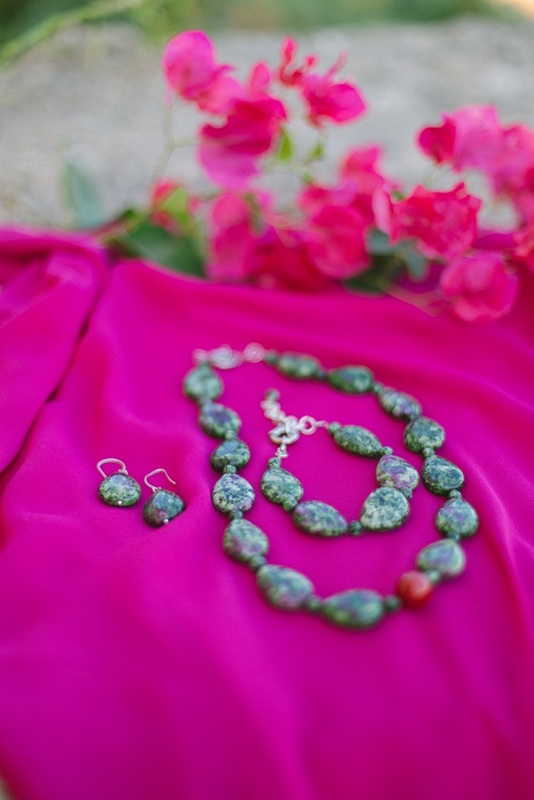 This is a unique three piece set made from African jade gemstones. About this gemstone and its meaning, Jade is a special healing stone that is believed to promote wisdom, balance, and peace when one wears it and sets the intentions to it. It has spiritual attributes, which are extremely distinct. This prehistoric sign of calm and peace is a unique, strong piece of tool that encourages our consciousness to increase at a higher level. 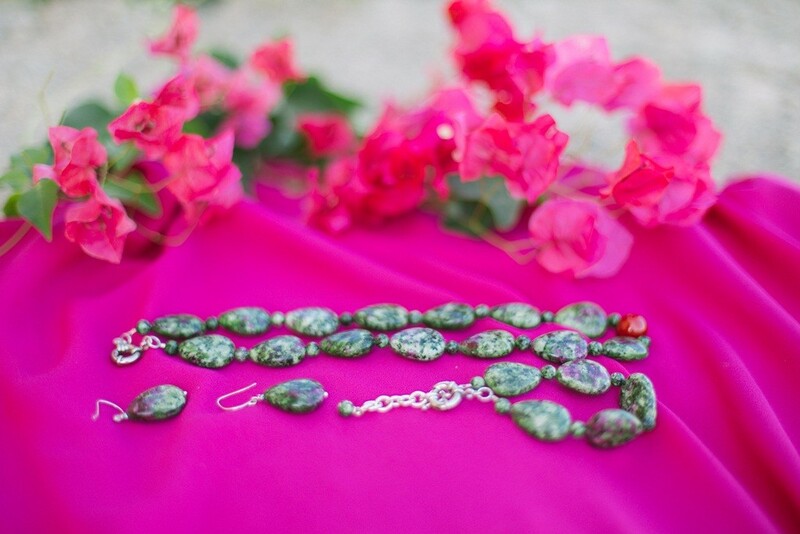 When you incorporate Jade into your daily life, get ready for opportunity to rock! I love how the look and all these pics turned out. What do you think? Visit the Facebook Page dedicated to my jewellery and my Instagram Stories for daily updates and online shopping opportunities. Prev:Im interested in crystals. Where do I begin?